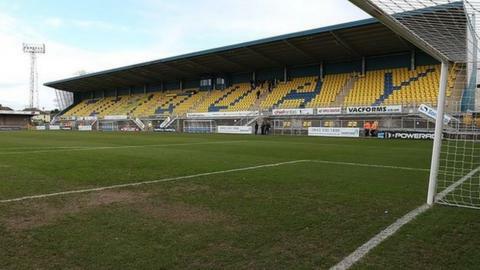 Former Torquay United chairwoman Thea Bristow has entered into formal talks to sell her stake in the club. The lottery-winning millionaire and has been actively searching for a buyer for the club since the start of the year. The club has not revealed who has made the bid for Bristow's stake. "There has been a lot of hard work to get to this point, and I hope that we will be able to conclude this deal," Bristow said in a statement. "It is a big decision to announce at this point, but we all know the way that football works and it is very difficult to keep anything under wraps once a few people know, so I felt it was important to inform you all of this milestone myself. "It is safe to say that this does not mean we are over the line yet, but it is a major step in the right direction," she added. Bristow and her husband Paul won a £15m jackpot on the National Lottery in 2004 and he was part of a consortium that took over at Torquay in 2007. She brought in former to help try and find a buyer for the club in January. Bristow has been in discussions with various parties including the Torquay United Supporters' Trust and there is now an exclusivity period between Bristow and the potential new buyers.